Shogun PA2 Frame Sliders offsets are CNC machined from the same grade aluminum as military aircraft. Offsets are anodized black to match OEM components. Each offset is manufactured to stringent specifications with ISO 9000 quality control. Each Shogun Frame Slider comes with high tensile strength corrosion resistant hardware (cheap imitators do not use high-grade hardware and will quickly rust). 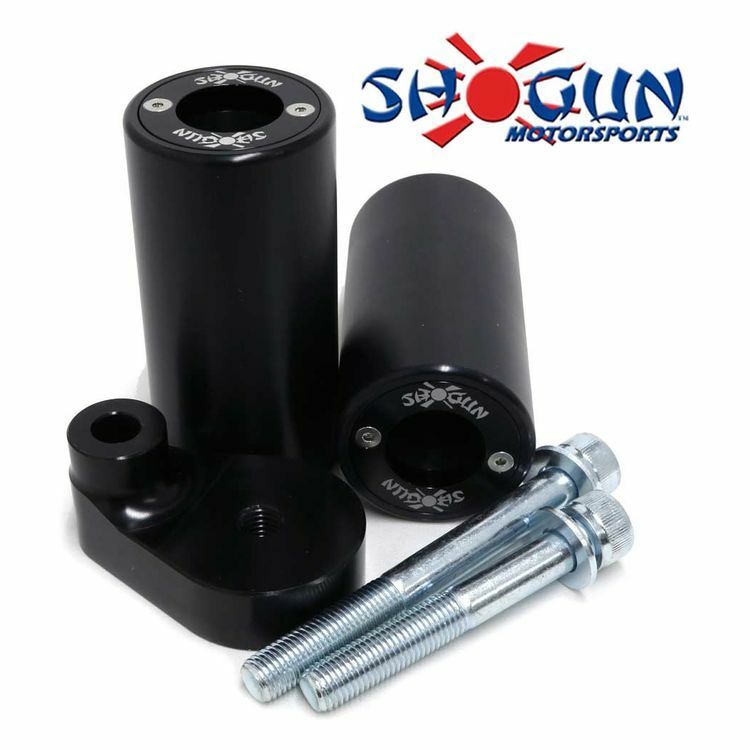 Shogun uses socket head bolts in nearly every kit, allowing for stronger frame slider design in a more compact space.